Thanks for your interest! If you're asking which version I'd recommend for Omaha hi/lo MTTs, I would not recommend any of the NoteCaddy Edge packages. None of them were designed specifically with this format in mind, so honestly you probably won't get a lot of value from any of the packages. If you wanted to try one out though, MTT version would be your best bet I think. If you're asking which version(s) to get for MTT, and Omaha, and Omaha hi/lo.. I would say to get the MTT package for MTTs, PLO package for PLO Cash, and no package for PLO hi/lo. NoteCaddy Edge Cash 2.0 is available now! We've been working hard on this package for quite some time. This package includes some amazing HUDs for any poker site which is compatible with HoldemManager2 (including PokerStars / Full Tilt). We welcome you to check out our newly designed website here: www.notecaddyedge.com. There's a 15 day free trial (no payment required). You'll just need to make sure you own HoldemManager2 and NoteCaddy to be able to use it. 19 Popups which you can view here NCE Cash 2.0 Popups (you'll also receive a white version of the popups). The design of these popups allow you to use multiple stats in correlation with each other to help find your optimal action easily. Super powerful HUDs which you can view at our homepage in the main slider NoteCaddy Edge – Online Poker HUD Packages. 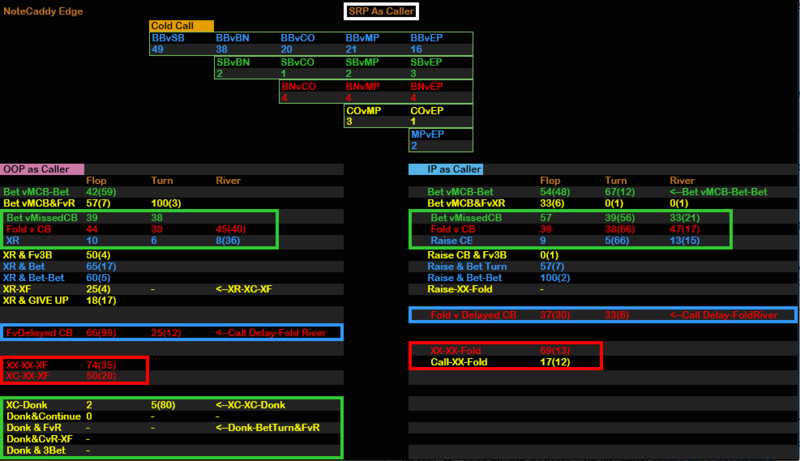 HUDs which will work amazingly at PokerStars / Full Tilt (the "NoStamps" versions). High resolution HUD versions for people who use monitor resolutions higher than 1080p (or play 1 or 2 tables at a time). HUD Stats, Stamps, and Badges automatically switch to "vsHero" when sample size is sufficient. Ongoing videos from Robert Stelmach, who is a big winner and the main influence of this package NCE Cash 2.0 Videos. Access to a private forum where you can see suggestions for the package and see when they'll be implemented. Free quality support for anything HM2 / NoteCaddy / NoteCaddy Edge related. Includes Email, Skype, and Teamviewer support. Documentation and Videos showing you how everything works. The package is fully customizable. Feel free to tweak definitions, add any part of the packages to your own HUD, and edit the NoteCaddy Edge HUDs. Free updates to the package. Stamps (which are very small badge images) can show an incredible amount of information in a very small space (not for use with PokerStars/Full Tilt live tables). Badges are included which you can use to quickly spot leaks of yourself and opponents (not for use with PokerStars/Full Tilt live tables). NoteCaddy Edge Cash 2.0 1.19.16 Update is released! *Reorganized Popup Placements on the HUDs. 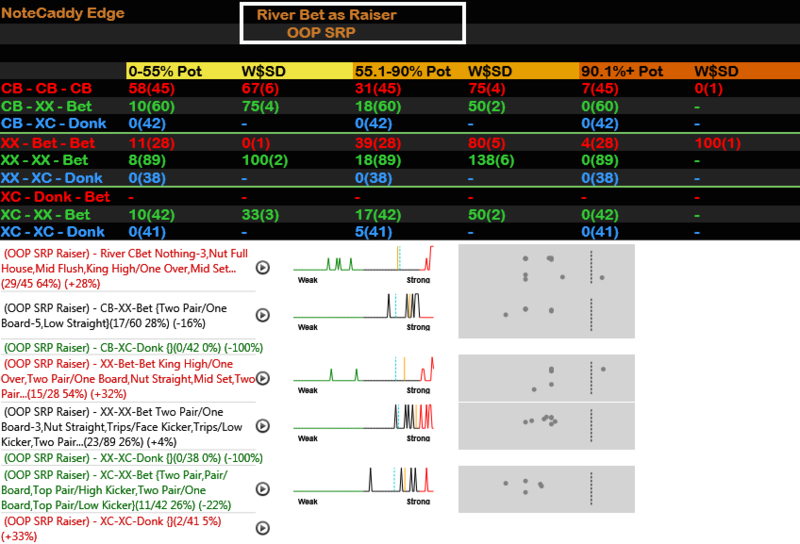 *Added Preflop Popup which contains: Winrate, 4BetRange, Foldv5Bet, Squeeze stats. *Bet vs Missed CBet stamps added. *High Resolution Popups for High Resolution HUDs added. *AutoRate for 6max Holdem added. The new Preflop popup is a good place to check Winrate, 4BetRange, Foldv5Bet, and Squeeze stats. Heatmaps are attached to 4BetRange and Squeeze stats. Feedback is really positive so far on this new package. It's designed for the very serious poker player. Feel free to try it out for 15 days! 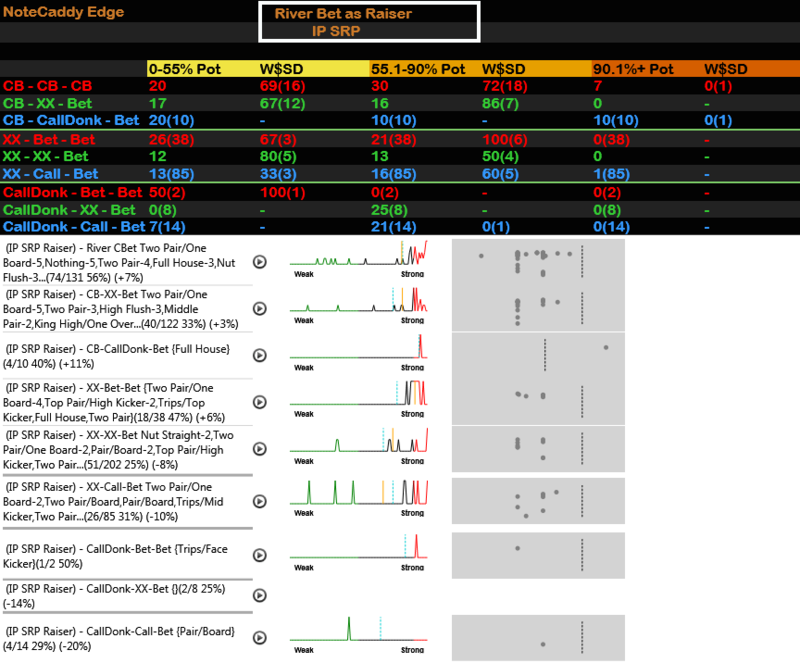 An amazing perk of using NoteCaddy Edge Cash 2.0 is that now you can get all of the custom stats you want, from www.custompokerstats.com.. completely FREE! This will last for all of 2016. This offer is valid for anyone who has an active license to NoteCaddy Edge Cash 2.0, INCLUDING an active 15 Day Trial! It's all easy and automatic, so there's no need to request access to the free stats. We are happy to offer you this and we hope you like this added bonus! I've made some new HUDs which I think will be good for people who are having any lag with the HUDs. I think they'll particularly be good for Zoom type games. These HUDs are only for NCE Cash 2.0. They have board texture stats removed from the popups, and they do not use composite stats directly on the HUDs. The HUD files can be imported into HM2 / HUD Settings / Import. You can choose Yes to replace each popup when you're asked. If you do try them out and have a spare minute, please let me know if they helped you or not. New "Fast" HUD versions added which should help people who have performance issues, or are playing Zoom-type games. Cold 4Bet and FoldvCold4B stats added to NCE_Preflop Popup. Changed sample sizes for Stamps and HUD stats which automatically switch to "vsHero" to a minimum of 21 samples with Hero for that particular stat to change to "vsHero" from "Overall". Added a PDF file explaining how HUD stats and Stamps automatically switch from "overall" to "vsHero". Added a PDF file which includes some performance tips (found in desktop folder "NoteCaddy Coaching Pack Files" after importing the new package update). Used different HM2 stats in the HUDs used as placeholders. This can help with positioning of the HUD stats in some cases. Thank you to everyone who made suggestions. We have a lot of great suggestions to work on implementing for the future as well. We'll plan for the next update to be released in the next 10-14 days. *2 New Popups: SRP-asCaller and SRP-asRaiser. These are more broad popups than the others, and are useful to use against opponents who you don't have a large sample size against. *Call 3Bet Stats with Heatmaps added to the Preflop popup. *Bet-Check-Bet stats added into the Popups. 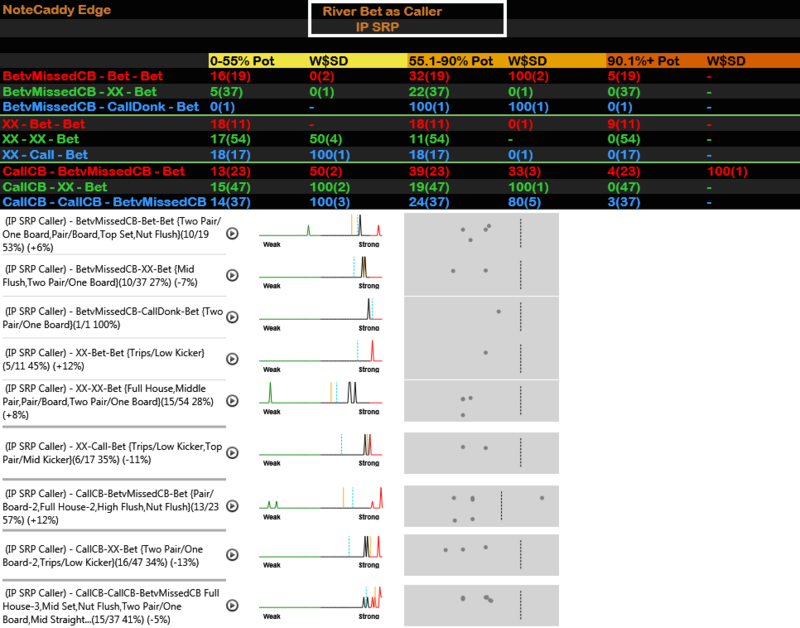 *Call 4Bet Stats with Heatmaps added to the Preflop popup. *Added a PDF file with tips to help choose which HUD to use. *Added HUD Version 1 with White Popups. NoteCaddy Edge Cash 2.0 Update is released! *4 New Popups: SRP-asCaller-OOP-RiverBet, SRP-asCaller-IP-RiverBet, SRP-asRaiser-OOP-RiverBet, SRP-asRaiser-IP-RiverBet. *3 New Badges: (BBvSB)High.RaiseLimp(vsHero), (BBvSB)High.RaiseLimp&Fv3B(vsHero), (BBvSB-LimpedPot)High.HighFoldvFlopBet. *Added WTSD, W$SD, WWSF General Stats to SRP-asRaiser and SRP-asCaller Popups. *ColdCall 3Bet Range Added to Preflop Popup. Today we added another payment processor besides Paypal (simplify commerce) so that you can pay with credit / debit card easily. 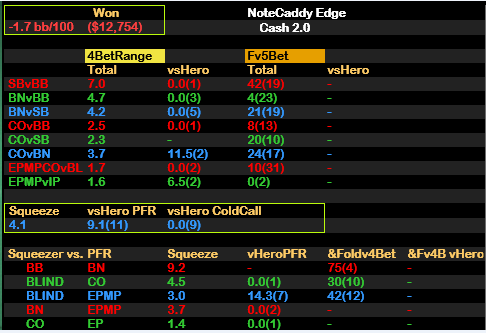 NoteCaddy Edge Cash 2.0 4.20.16 Update is available! *NoStamp HUDs now have have Popups for each small stat. 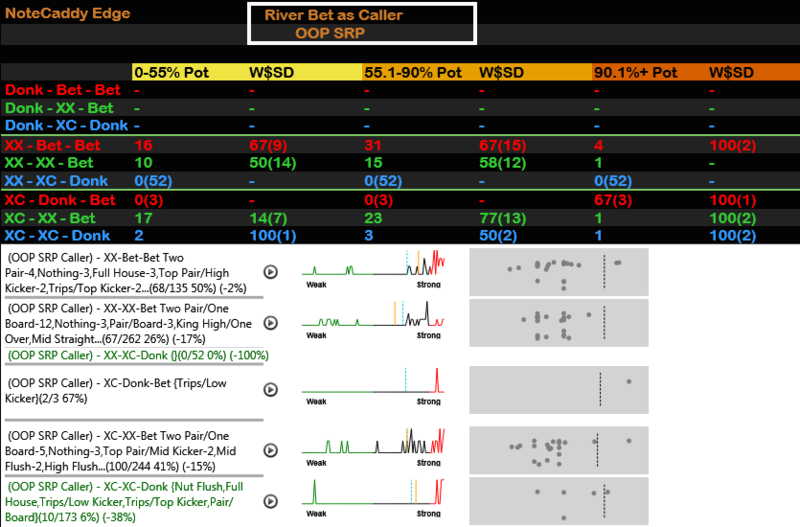 *Changed sizing groups in RiverBet Popups to: 0-55, 55.1-90, 90+ (previous was: PotOrLess, OverBet). *Edited Badges Explained PDF: Images are linked to their descriptions for ease of use.